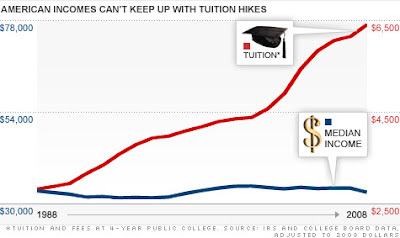 CNN Money notes that, between 1988 and 2008, college tuition and fees doubled while median income stagnated. And this is just tuition...add housing and food and you're looking at 20K+ for in-state tuition in most schools. Sheesh.